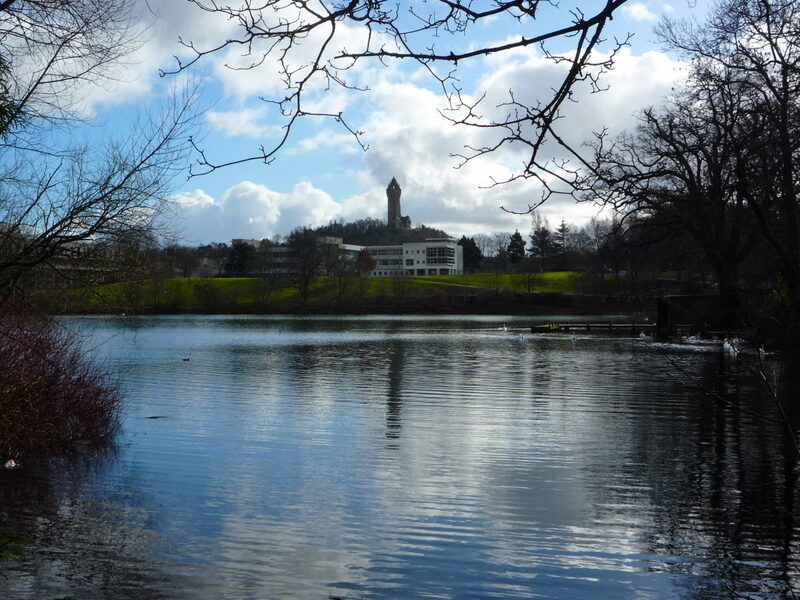 Stirling University boasted that a Maltese academic implicated in the FBI probe into Russian links to Donald Trump’s presidential campaign had participated in a ‘Brexit Briefing’ at the Russian Parliament in 2016. In a leaked email published today on The Ferret, Stirling University officials say Professor Joseph Mifsud took part in a ‘Briefing on Brexit’ at the Russian Parliament’s foreign affairs select committee in January 2016. University management also boasted that Professor Mifsud, 57, flew ‘the University of Stirling flag’ at a meeting with Vladimir Putin at Valdai, a Moscow-based think tank in November 2015. Previous media reports have shown that Mifsud spoke at an April 2016 Valdai conference. Professor Mifsud has emerged as an unlikely focal point in special counsel Robert Mueller’s investigation into potential collusion between the Trump campaign team and Russian officials. The academic, who also has links in Rome and London, is alleged to have spoken with Trump campaign aide George Papadopoulos about the Russians holding ‘dirt’ on Hillary Clinton in the run-up to the 2016 presidential election. The pair met in London in March 2016. Mifsud has admitted meeting Papadopoulos but dismissed the allegations as ‘incredible’. He is a full-time professorial teaching fellow in Stirling University’s politics department. His connection with the university goes back to at least 2014 when it became affiliated to the London Academy of Diplomacy (LAD) where Mifsud was director. On 8 April 2016,three days before Mifsud allegedly confirmed a visit to Russia had been ‘agreed’ for Trump campaign aide Papadopoulos according, an internal Stirling University email boasted that Mifsud had participated in a Brexit briefing at the Duma, the Russian Parliament, and had met with President Putin, President Nazarbayev of Kazakhstan and Azeri President Aliyev at the Valdai in November 2015. Putin has been involved with the Valdai since its foundation in 2004. The Mueller indictment refers to an email sent by ‘the professor’ in which he says he is flying to Moscow for a Valdai meeting on 18 April 2016. According to details published online, Mifsud spoke at a Valdai meeting the following day. Mifsud is not mentioned by name in Mueller’s 14-page ‘statement of the offence’ against Papadopoulos, who was a foreign affairs advisor to the Trump camp. But has since been identified as the ‘overseas professor’ cited. The Financial Times reported that Mifsud was received one-on-one by the Russian ambassador in London in 2014, according to a press release by the embassy in London. Mifsud claimed to have had a private meeting with Vladimir Putin, according to media reports. Mifsud’s background appears to be in education. In 1995, he received a PhD from Queen’s University, Belfast for a thesis entitled Managing educational reform a comparative approach from Malta (and Northern Ireland); a headteachers’ perspective. In 2016, he contributed to a book on globalisation published by Moscow State University. A brief biography of Mifsud circulated to Stirling University staff in 2016 describes him as “Academic Director, London Academy of Diplomacy, and was formerly foreign affairs representative of Malta and assistant to the Maltese Foreign Secretary. “He has significant expertise as a former diplomat and has excellent networks and international connections,” the biography adds. The Stirling University email says that Mifsud has “proven himself as an ambassador for the University of Stirling” noting his role in bringing “on board a number of adjunct faculty/senior retired UK diplomats to deliver the training and add value to the courses”. The email says Mifsud attended the Commonwealth Heads of Government Meeting in Malta, as an adviser to the Maltese Prime Minister in November, 2015. He had an advisory role with the Italian Ministry of Foreign Affairs from December 2015. In May 2017 Mifsud spoke as part of the G7 International Forum in Italy. Russian experts say that the Kremlin did not take a position on Brexit publicly but was closely following the referendum. “The Russian official line was to provide no comments on the referendum which they basically stuck to though obviously there were some discussions of it internally,” said Alexander Titov, at lecturer in politics at Queen’s University, Belfast. A Stirling university spokesman said: “In September 2014 the University of Stirling took over, from the University of East Anglia, the validation of two courses delivered by the London Academy of Diplomacy, in London, of which Professor Mifsud was director. “This arrangement ceased in September 2016 when the London Academy of Diplomacy withdrew these courses. “The university employs a number of professorial teaching fellows drawn from a range of academic, industry and public life backgrounds. They contribute to the university in teaching and advisory capacities on a variety of programmes and projects. “It is in this capacity that Professor Mifsud has been employed on a full-time basis by the University since May 2017.